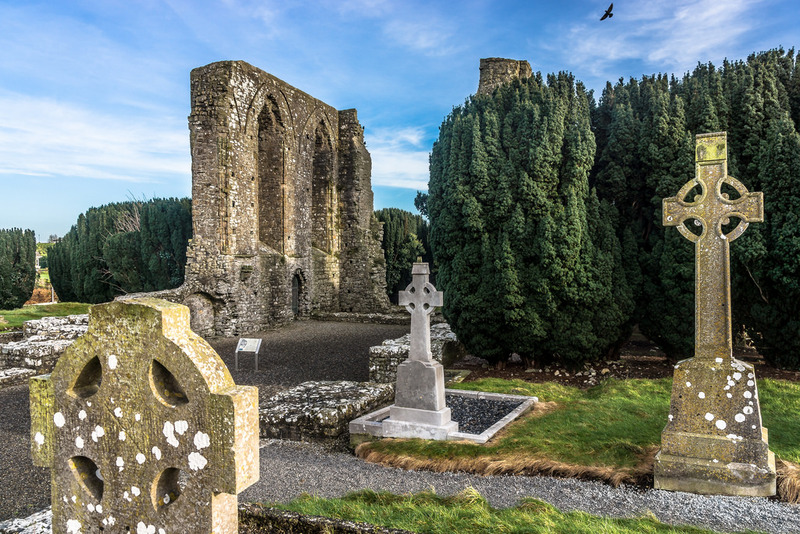 One of Ireland’s heritage towns, Trim is situated on the River Boyne. It once had the oldest and largest religious settlements in the country. The town is dominated by the medieval Trim Castle, which was built by Hugh de Lacy in 1173. The largest Norman castle in Europe, it is now restored and visitors can access the 30.000m square keep and grounds by guided tour. Sections of the epic film Braveheart were filmed here. The Yellow Steeple is the most prominent of the many ruins in Trim. It overlooks the town from a ridge directly opposite Trim Castle. Originally part of the 13th century St. Mary’s Augustinian Abbey, the steeple dates from 1368. 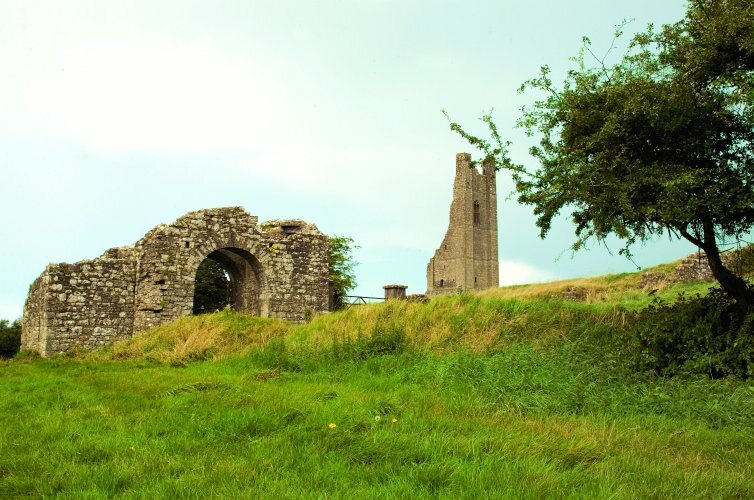 The black Friary of the Dominicans was founded by Geoffrey de Geneville, Lord of Meath in 1263. During the early 1700’s Jonathan Swift, author of Gullivers Travels, was presented with the Vicarage of Laracor in Trim and spent some of his happiest times in the area as judged by the ‘Journal To Stella’ which was published after his death. The Duke of Wellington, Sir Arthur Wellesley was born near Trim, reared in Dangan Castle, Summerhill and educated in Trim. Residents erected the Wellington Column to commemorate on of their past pupils. Soon after proclaiming Christianity in Ireland, St. Patrick built a church here on land granted to him by the son of the High King. He built it near an ancient ford that crossed the river just beyond the bridge and it was from this that Trim got its name. Surrounding the Castle are fascinating ruins which provide evidence of fervent religious activity. Stone relics abound in St. Patricks Cathedral, its church and porch revealing a number of medieval graveslabs. St. Marys Abbey is the remains of an Augustinian monastery founded in the 12th century and later a focal point for pilgrimage. The Newtown Monuments consist of a large medieval cathedral, two monasteries and small church which date from 1206. Outside the walls of the church one will find the late 16th century alter tomb with effigies of Sir Luke Dillon and his wife. The Friary of St. John the Baptist, is the remains of a 13th century Augustinian foundation, which was later converted to a hospital in the 18th century.